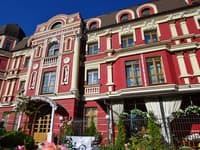 Hotel "Comfort" is located in the office - residential complex (2 and 4 floor) opposite the International Exhibition Center, near the metro station "Levoberezhnaya" (200 meters). 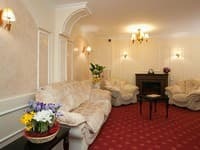 The hotel offers accommodation in furnished rooms with European design and full service. All rooms have a TV with cable TV, free Wi-Fi, air conditioning, telephone, minibar, safe, bathroom. Comfort Hotel is an ideal place for a holiday, where you can feel the home atmosphere and independence. Description of the room: The room has one large or two twin beds (90x200), bedside table, desk, table lamp, wardrobe, sofa. 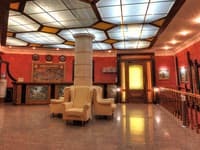 The room suite on Hotels24.ua is for two people. Extra bed 200 hryvnia. Crib for children - at no additional cost. Description of the room: The room consists of a bedroom of 24 sq. M and a living room of 16 sq. M. The suite has a bed, bedside tables, plasma TV, desk, desk lamp, safe, air conditioning, wardrobe 3 sections, trellis, sofa and coffee table. Children under 12 years without a separate bed are accommodated free of charge. The cost of additional space for children and adults is 200 UAH / day. Breakfast in the room from 8:30 to 11:00 at a price of 100 UAH. 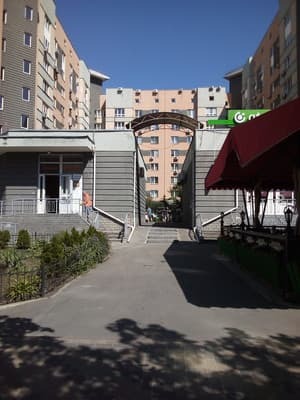 Hotel "Comfort" is located in the office and residential complex (2 and 4 floor) opposite the International Exhibition Center, near the metro station "Levoberezhnaya" (280 meters). 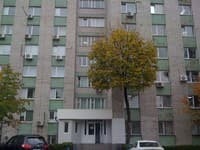 In the complex there are banks, shops, offices, fitness studio, Irish pub, dentistry, pharmacies, near parking, night clubs, shopping centers, Rusanovskaya embankment and Hydropark. 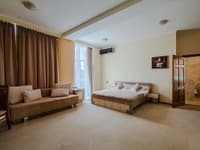 The hotel has a convenient connection to the city center (10 minutes by metro) and Boryspil Airport (30 minutes by car).